With Christmas fast approaching, there’s still time to squeeze in a family photo shoot on location in the Shire and get Nan’s pressie printed, framed and under the tree! But spots are filling up fast, so jump on the bat-phone lickety split! 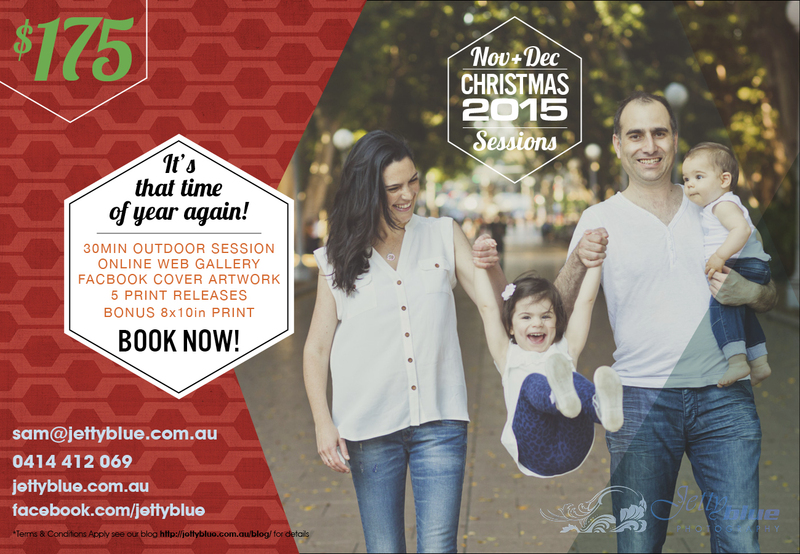 0414 412 069 or email sam@jettyblue.com.au to book in or arrange a gift voucher!